If you are not sure whether you need professional service from a Certified Financial Planner or not, please read the article – Are Financial Planners worth your money? People spend a lot of time in buying a mobile phone. Buying a great phone is important. There are many features to look for in a mobile phone. But, do you spend enough time in selecting a financial planner? Do you know, what to expect when meeting a financial planner for the first time? Financial planning has the potential to shape your future and give the much-needed importance to your hard earned money. But, sadly, financial planning is done improperly or ignored by many. So, we insist you take some time to look for the right financial planner to manage your finance or your family’s. If you’ve not worked with a financial planner so far, you may not be sure on what to expect in your first meeting. Don’t worry; here we are with some guidelines specifically for you. Only if you do your homework, you can choose a right financial planner who will ably assist you in achieving your financial goals in a stress-free way. Preparing yourself by understanding your financial situation and identifying your problems in it is important because unless you know your status and problems, you may not know what exactly you need from a Financial Planner. • Am I choosing the best investment schemes? • Am I planning my taxes better? • Am I clear on where to invest my money to get better returns in the short term and long term? 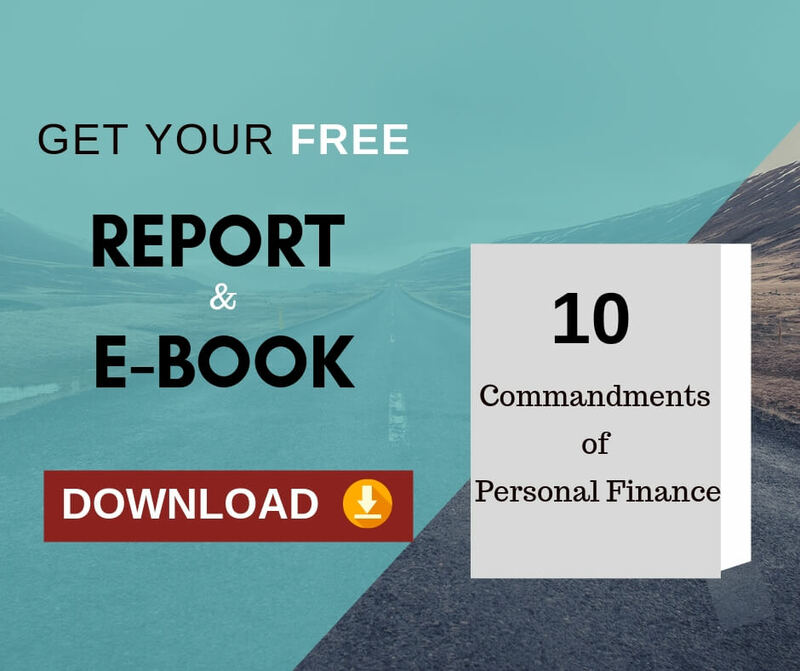 • Am I managing my finance well in spite of my busy work/ other issues? • Am I saving enough money to achieve my financial goals? • Am I able to project the results of my savings and investments correctly? • Am I sure on how much to save for my retirement? • Am I well prepared for a happy retirement? If your answer is “No” to one or many of the above questions, then those are your problems. A good advice depends on a clear picture of your financial situation and needs. Think about the type of advice you'd like to receive. Do you want the financial planner to prepare a complete financial plan or do you want advice on a particular area like Investment Planning, Tax Planning, Retirement Planning, Wealth Management, etc? Considering your present situation, problems and expectations, a good financial planner would be able to give you right solutions. 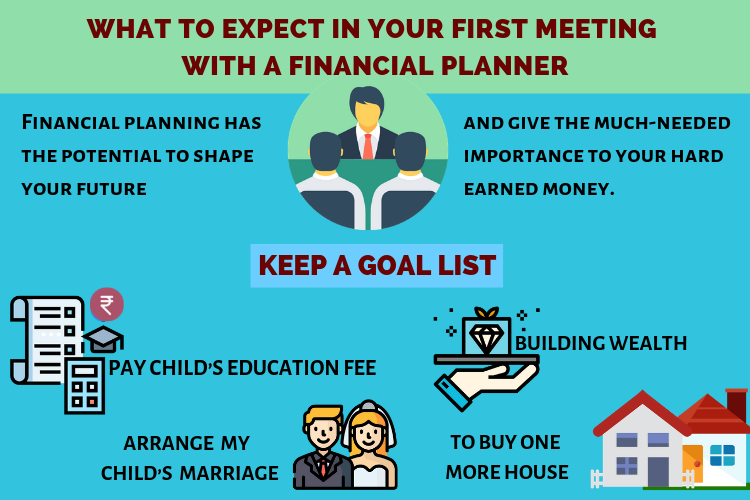 It’s advisable to go with your goals to the first meeting with a Financial Planner. Know what you want to do short-term as well as long-term. A Financial Planner will ask about your family, personal financial situation – income, expenses, current investments, loan, insurance, tax, property, will, short term & long term goals, etc. This will help the Financial Planner to understand you well, and to create a custom financial plan for you. Give accurate information to the Financial Planner about your finance. If not, the financial Planner may give you an advice that’s not suitable for you. This is to know about the Financial Planner, their experience, services, skills, educational qualifications and professional certifications. This is to know about the company of your Financial Planner and its reputation. You can see the reviews on Google or testimonials in the company website. You can check whether the content in Website and Social Media pages is purely sales or information oriented to its audience. Investment Philosophy, which is commonly known as School of Thought, differs from company to company or from a financial planner to another. Some commonly identified school of thoughts are given below. 4. Can you offer me a personalised Financial Planning service? Can your financial planner give you a customised financial plan or not based on your present situation and goals ahead? Some financial planners only give generic investment advice to everyone. This question will help us to know whether the financial planner’s service is product based or client based? In both cases, ask if their recommendation is limited to the certain products like Mutual Fund, Insurance, Stock Market, fixed deposit, etc. 5. Is this your primary business? You may be surprised to see this, yes, there are people who do financial planning in addition to their primary work. For example, Chartered Accountants, Stock Brokers, Insurance Agents, Wealth Managers, etc., along with their main work, do financial planning as well. You will not get a complete service from these part-time professionals when compared to full-time Financial Planners. 6. Can you show me your Client profile and share your Client experience? By asking this, you will come to know how comfortable the financial planner is with clients and also to know about the work. You can ask the financial planner for a client reference similar to you to understand the plan and its process better. 7. What is your legal compliance with the profession? Know if your financial planner follows the code of ethics and professional laws strictly. 8. Is your Fee Transparent? Know how and what they charge for their service. Know if there are any hidden charges they put. a. Can I do the implementation by myself or is it mandatory to do the implementation through you? b. If I am busy, can you do the implementation for me? c. What is your implementation process? d. Can I have access to all my plan-related information? 10. Will the CFP be accessible during plan implementation? If yes, how often and in what way? If not, it’s a warning sign. In some companies, only one CFP will be there. The CFP will create a plan and leave it to their staff members to proceed further. Supporting all the clients for future clarifications will not be possible for the CFP of those companies. 11. Who will be in charge in the absence of my CFP? Your financial planner may temporarily or permanently go out of your region/country or even out of the company. Know how will you get the service in those cases. Also, know who will be your relationship manager and point of contact. 12. What is your financial planning review process? Know if the fee for review is inclusive of the planning fee and know how often they conduct the review like quarterly or half yearly or yearly. Also, ask if a review is possible in special situation like when your income/expense/goals are changed. 13. Does the Financial Planning include my family or only me? This is to know if financial planning is for individuals or family. Know if you can start as an individual and later change it for family or vice versa. 14. Will you provide service agreement? This is to be clear on the list of services agreed to you with clear terms and conditions. It’s wise to go with the one who provides a service agreement. It’s better for both. 15. What is your general risk-free and risky investment suggestions? A good financial planner would suggest risky investments for 12 – 15% returns and risk-free investments for 6-8% returns. If a financial planner suggests you a rough 30 or 40 % returns from an investment scheme, it’s a high warning sign. 16. How long will it take to create a Financial Plan for me? It would take a financial planner 2 to 4 weeks of time to create a custom financial plan after several discussions with you to form strategies to achieve all your goals. Some financial planners use calculator model for general purpose and will give the plan in less than a week which may not be customised to meet all your needs. 17. Will you do Tax Filing in addition to Tax Planning? If yes, know if it costs you extra money. 18. With so many clients to you already, how will you track my portfolio? (Important): Some financial planners, without a proper process in handling clients’ portfolio, keep adding their client's number. Here, the financial planners suggest investment plans randomly which will make difficult for them to track all of their clients’ portfolio. A good financial planner recommends financial products or services based on a master portfolio – shortlisted best investment schemes. The best investment schemes are identified from a detailed research by their team/ company. He arrives at a customised portfolio for all his clients from the master portfolio. So by tracking the master portfolio, he will be able to manage all his clients portfolio. This makes their job easy to manage all their client's portfolio. 19. Has your work been acknowledged/ published in leading Media Channels? This is to know their reliability. 20. And, have you won any professional awards/ accolades? This is to know their credibility. 21.How do we proceed further? This is to know how the financial planner carries out service for you in steps to help you achieve your goals. You can find whether the financial planning process is structured or not to serve you better. A good financial planner will have a structured process which is evolved over many years with a thorough understanding of the process and clients. You would understand the financial planner and their process better with these 21 questions. • A Financial Plan created have to protect your investment and yield reasonable returns without exposing you to too much risk. Know that high returns comes with high risks. • Based on time and circumstances, your risk-taking nature may change. So, let your financial planner know about your willingness to take risk and to what extent. • Become clear about the service you're receiving, what the advice will and won't cover, and how much it will cost. • If you don't understand why a particular strategy is appropriate for you, don't hesitate to ask for explanations to your adviser. If you're not comfortable with an investment product or strategy, never agree with your financial planner. • Any workable recommendation would be based on a calculated inflation, investment returns, savings, income and expenses. • Fee-only Financial Planners work for compensation for their service. They will try not to sell you any financial products or services for extra money. • In case of commission-based Financial Planners, make sure they don’t sell any unwanted products or services to you. In the first meeting, you'll spend the time learning about the financial planner and the investment firm, get an outline of your financial planning process, and set up plans for future communications. You can follow up over phone or even ask for a second meeting for clarifications. Take time to select a financial planner because it’s your money and your future. Your family also depends on it. I. Will the planner be able to solve my problem? II. Will the planner be able to meet my short term and long term goals? III. Is the planner Trustworthy (based on Character and Ability)? With a financial planner by your side, you can achieve your goals with confidence using a workable financial plan. Though the process may seem complicated to you at first, it’s really not. With some knowledge about the whole process and what to expect before and after the process, you will be stress-free to meet with a financial planner. 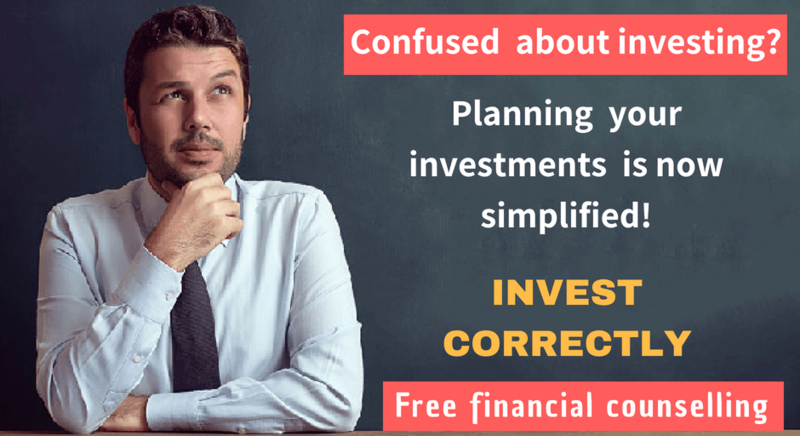 If you are confused to choose a Financial Planner in India, please read the article to know about Financial Planning Process and Financial Planner’s Fees. Now you have to fix an appointment to meet with a Financial Planner. You can either fix the appointment for a face to face talk or an Online Video Chat like on Skype. 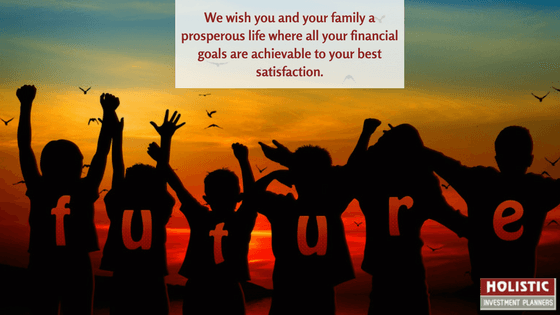 Many things were said, if you are facing some problems in managing your finance for you or your family, and if you would like to interview us for financial planning, we wholeheartedly welcome you to have a 30 – Minute Complimentary Session with our Financial Planners at Holistic Investment Planners. You can freely question us more than what we told you here to know more about us. Please share this article with your family and friends if you like it. Comment us your experiences when you first met with financial planners. this is a very enlightening article. clarifies many of my doubts. Interesting and well detailed article.